Seven of us left Staines station and braved their cycle-unfriendly roads followed by a National Cycle Route that would be a joke in the Netherlands. 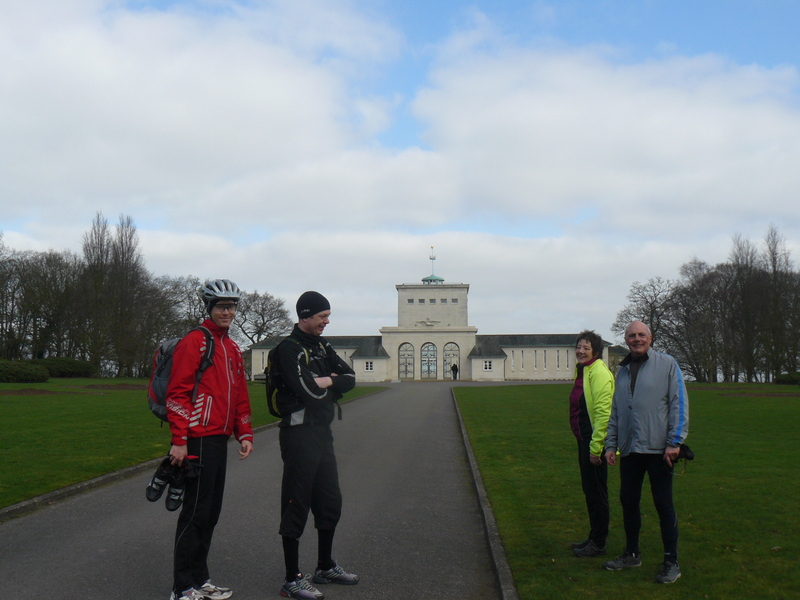 A steep climb up Coopers Hill got us away from the traffic and we recovered our breath with a visit to the RAF memorial with a stunning view of the Thames valley (after another climb up spiral staircases). 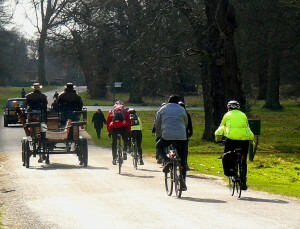 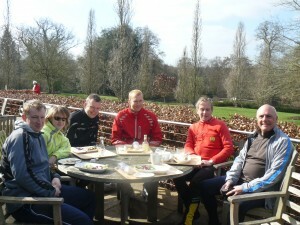 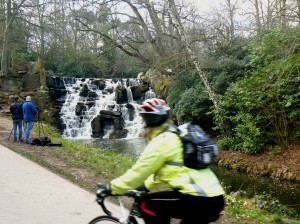 Continuing into Windsor Great Park we descended between the rhododendrons to Saville Gardens cafe for lunch in the sun. 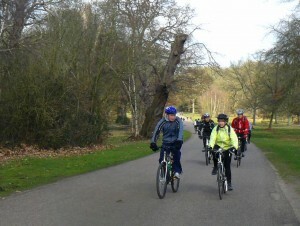 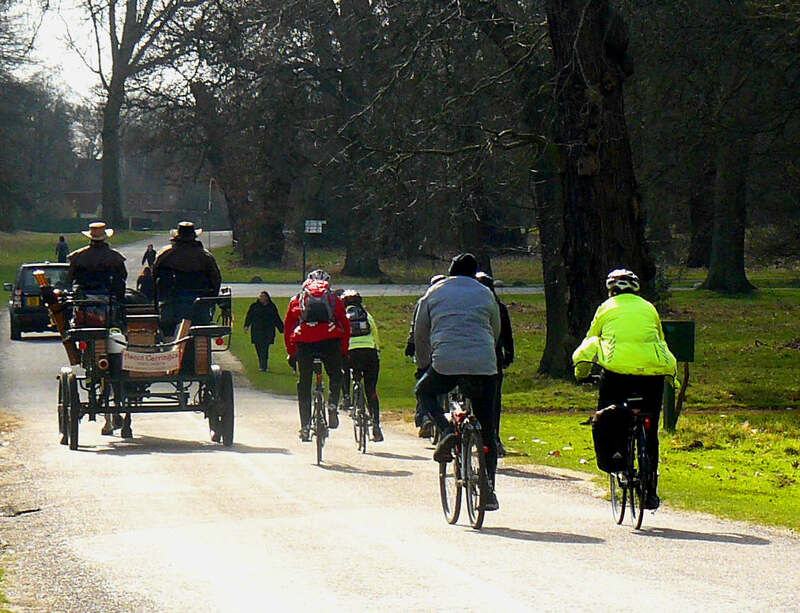 We then rode along the banks of Virginia Water then back up via Valley Gardens to Windsor and on to Staines getting in 4 minutes before the train.